Ever since the foundation of our business in 2009, our employees have cultivated a strong relationship between QuiBids and the Better Business Bureau Serving Central Oklahoma, one that goes far beyond our A-minus rating and merely meeting basic accreditation standards. We don’t stop at “good enough,” in other words, for our business. 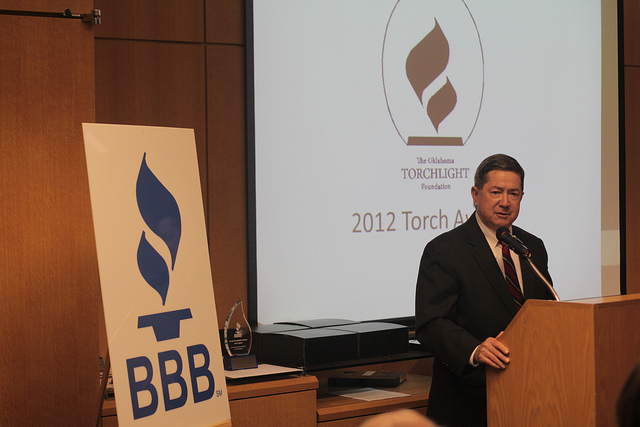 So it was a great honor for us yesterday to sponsor the BBB’s annual Torch Awards, which recognizes outstanding customer service and ethical conduct in the central Oklahoma marketplace. 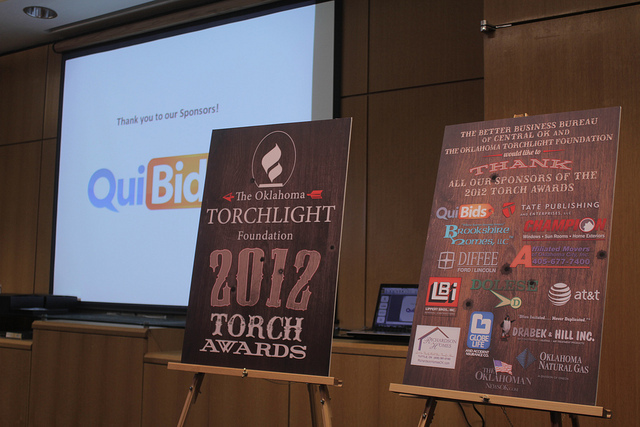 A handful of QuiBids employees were there to represent the company, congratulate those honored, and enjoy a speech advocating the need for ethically conscious business practice by Drew Edmondson, a local attorney who has served Oklahoma as its sixteenth attorney general and a county district attorney. 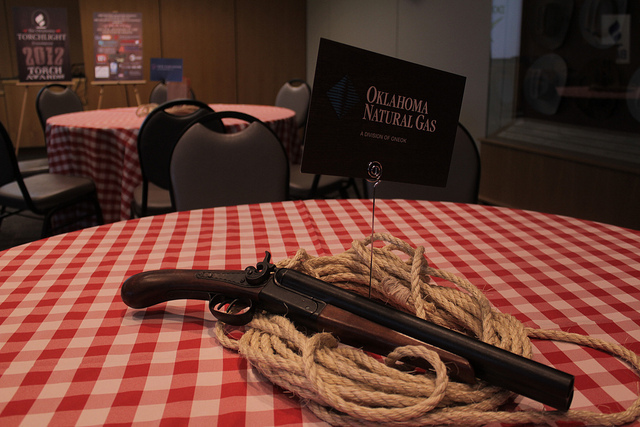 We got there a bit early to help set up for the Torch Awards’ western theme. Hence the checkered tablecloths, replica six-shooters, and lassos! 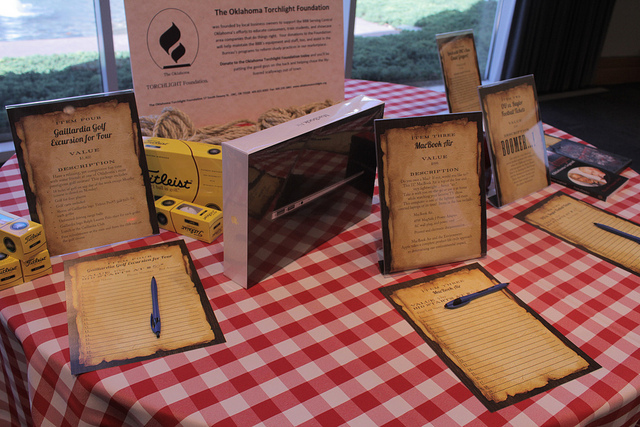 We also had an auction for prizes, including a MacBook Air provided by QuiBids. 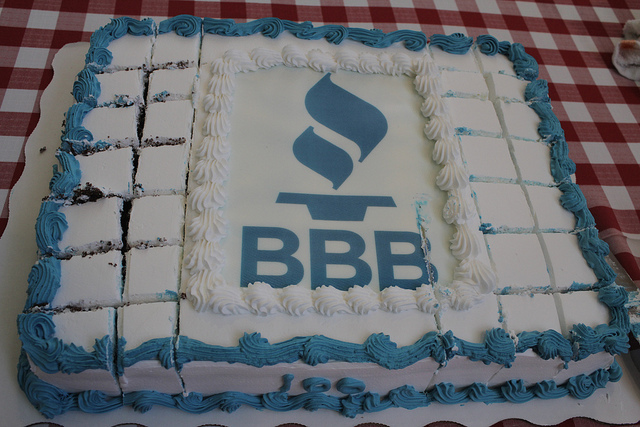 Barbecue was served for lunch, along with a fancy cake with the Better Business Bureau’s “BBB” logo on it too. 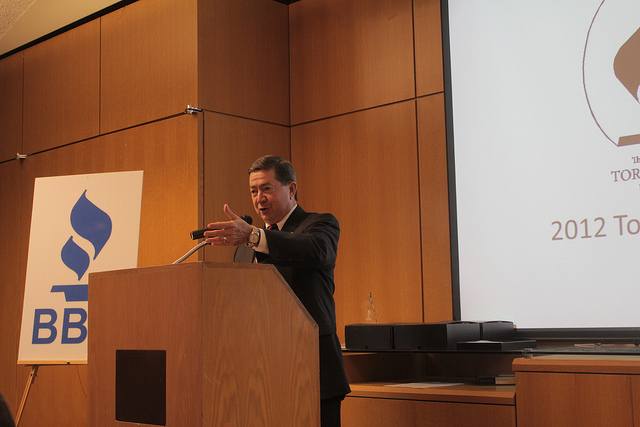 Bob Manista, president of the Better Business Bureau, said some words before introducing Drew Edmondson. He and his employees at the BBB saw fit to dress up in their finest western wear. 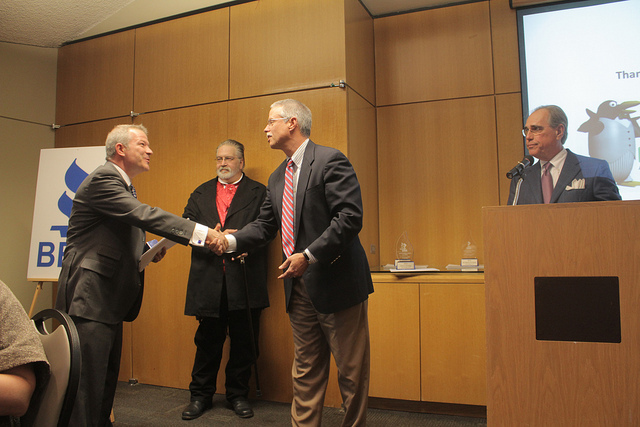 Edmondson took the podium and told stories about some unscrupulous businesses he encountered during his time as the district attorney for Muskogee County in northeast Oklahoma, and praised the award recipients for their dedication to sustainable business. 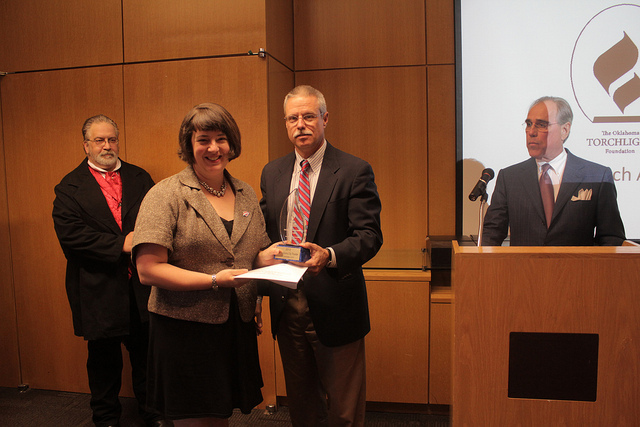 And then it was time for awards! 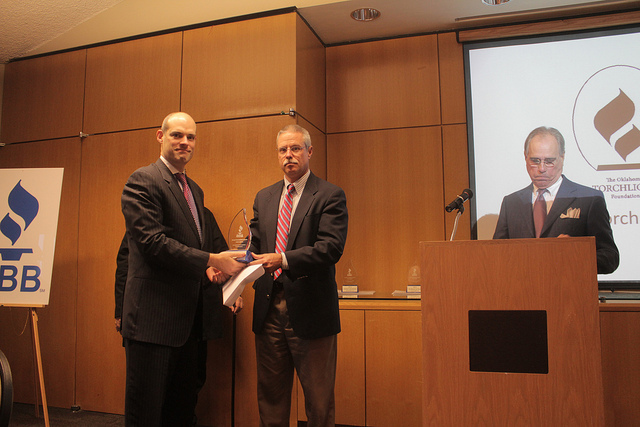 First up was Jerry Brown, head of Jerry Brown, PC, a law firm “noteworthy in OKC for being exceptionally compassionate and overtly responsible in the agency’s approach to providing services” helping people walk through the legal process of bankruptcy. 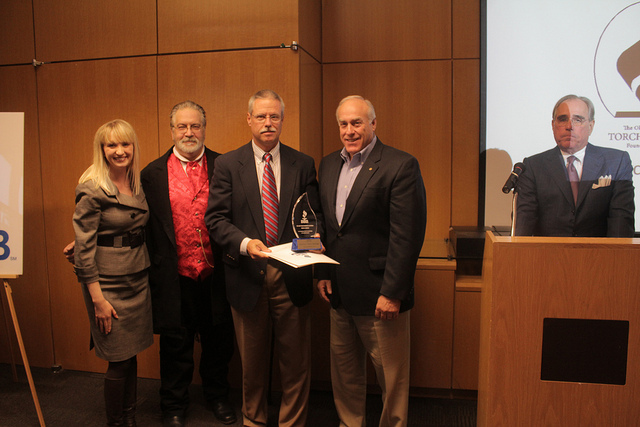 Sunbeam Family Services, Devon Energy, and the Oklahoma City Thunder all received awards as well. 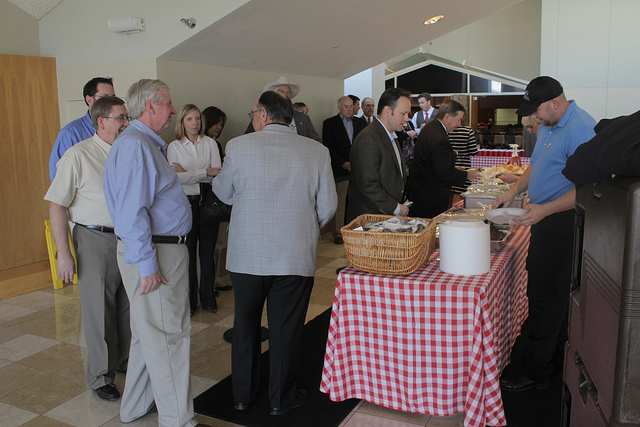 Each is an Oklahoma City institution within their respective field of business. Congratulations to you guys! We caught up with Edmondson to say thanks before he had to return to work. 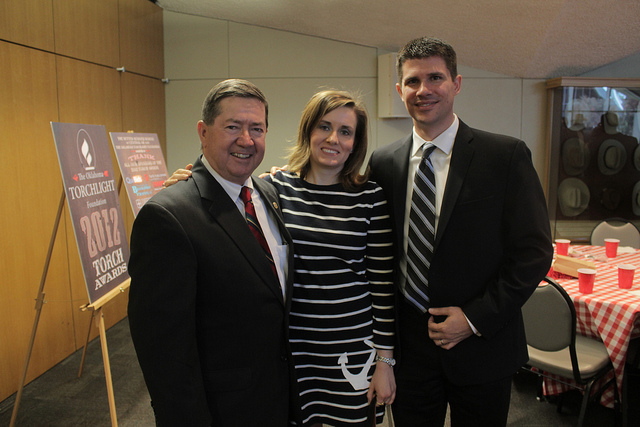 That’s him on the left with Ashley —our legal counsel— and Jeff, our chief financial officer. 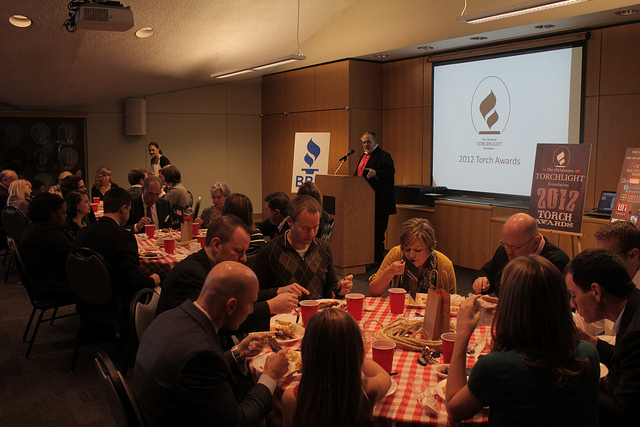 QuiBids congratulates all this year’s Torch Awards recipients, and would like to again publicly thank the Better Business Bureau Serving Central Oklahoma for all the work they do to ensure fair business practice in our part of the state!